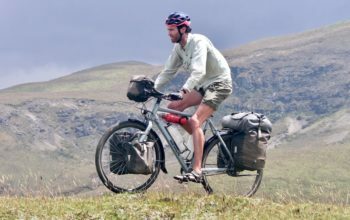 Ok, so packing panniers isn’t exactly brain surgery – but sticking to these ‘rules’ has definitely made my touring life easier! My number one rule for packing panniers is to ALWAYS put your gear back where it came from. 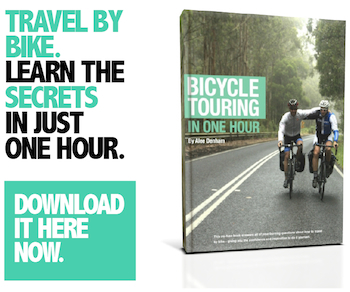 This makes life so much easier, especially during times when it’s hard, like in the rain, cold, or after a long day of headwinds. 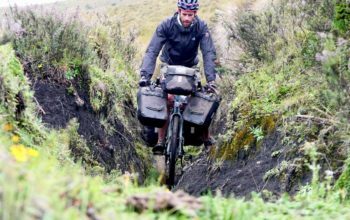 When you have a packing system in place, you’ll also guarantee the efficient use of your panniers, every time! 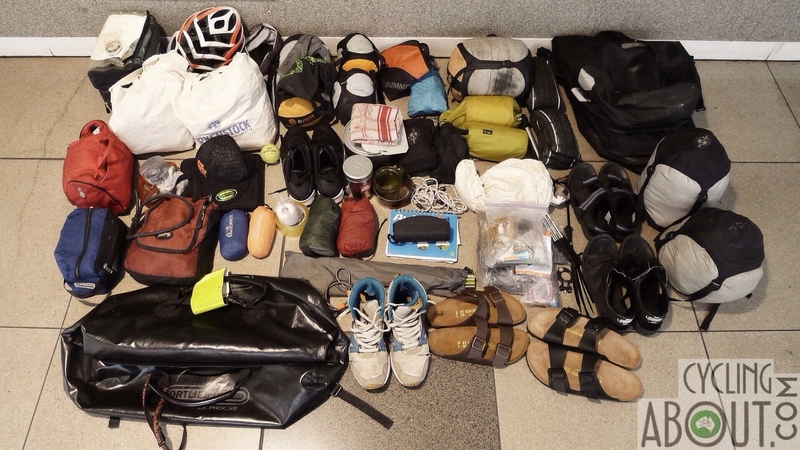 Two years worth of bicycle touring gear! My number two rule is to pack your bags based on category. For example, on my two-year adventure we had a cooking pannier, camping pannier and a clothes/toiletries pannier each. Having categorised panniers makes sense because you often need to access multiple items that are used together. Cooking bag contents could include: Stove, pots, kitchen gear, fuel bottle, tea towel, chopping board. Camping bag contents could include: Tent, sleeping mats, sleeping bags, pillows, electronics. Clothes bag contents could include: Clothes, toiletries, shoes, hat, medical gear. Handlebar / Rackpack contents: The handlebar bag stored things we needed easy access to – most of the time that meant passports, money, sunscreen, gloves, buffs, maps, paperwork and hand sanitiser. The rackpack held food and some of our bulkier items like tent poles, rain jackets, iPads, musettes and spare plastic bags. 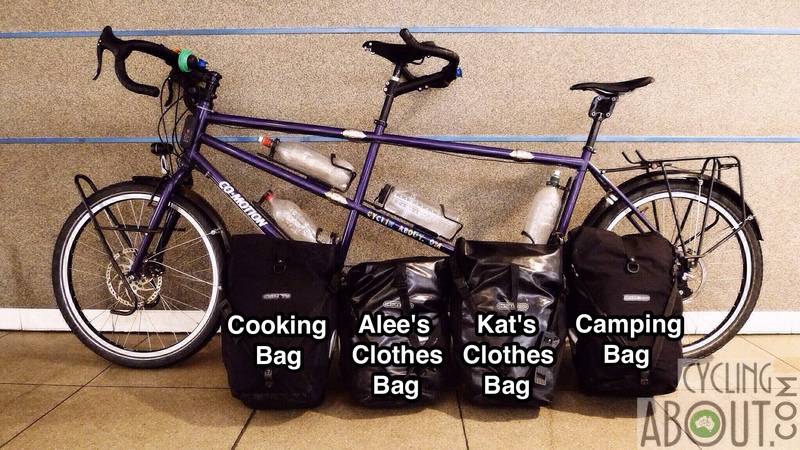 The touring tandem and the four panniers taken on a multi-year trip. My number three rule for successful packing is to assign a couple of compression sacks to some bag management duties. 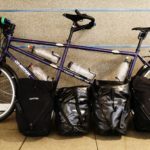 Part of the reason we rode around the world with SO MUCH STUFF and only four panniers is that we used compression sacks to squeeze our gear in. We compressed our tent, sleeping bags, clothes and down jackets. 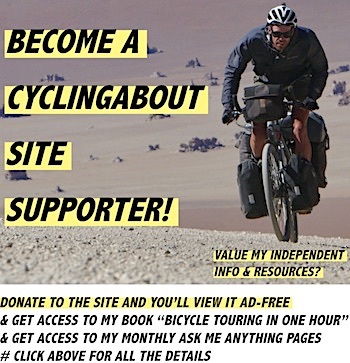 My number four rule is to pack your weight low in your panniers. That is, heavier items at the bottom of the bags wherever possible. 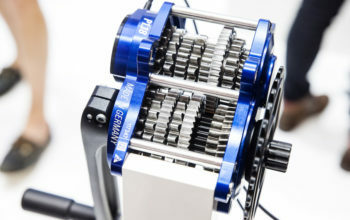 Lowering your centre of gravity will improve the handling of your bike. My number five rule is to balance your weight. 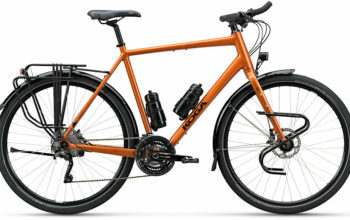 Ideally both your left and right sides of your bike will be equally weighted. My number six rule is to keep the things you need during the day at the top of your panniers. For me this includes food, tools, rain gear, sunscreen, hats and extra layers. 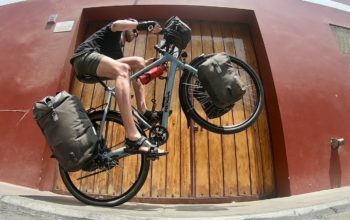 Rolltop bags such as the Ortlieb BackRoller Plus can fit way more gear than any other pannier design. I can fit two pairs of shoes in after I’ve already filled my panniers to the ‘correct’ level.